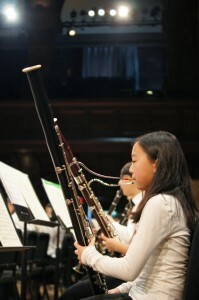 Consisting primarily of middle school aged brass, woodwind and percussion students, the Wind Symphony performs as a solo ensemble, while also joining forces with the Pro Arte string orchestra to create YOCJ’s junior symphonic orchestra. 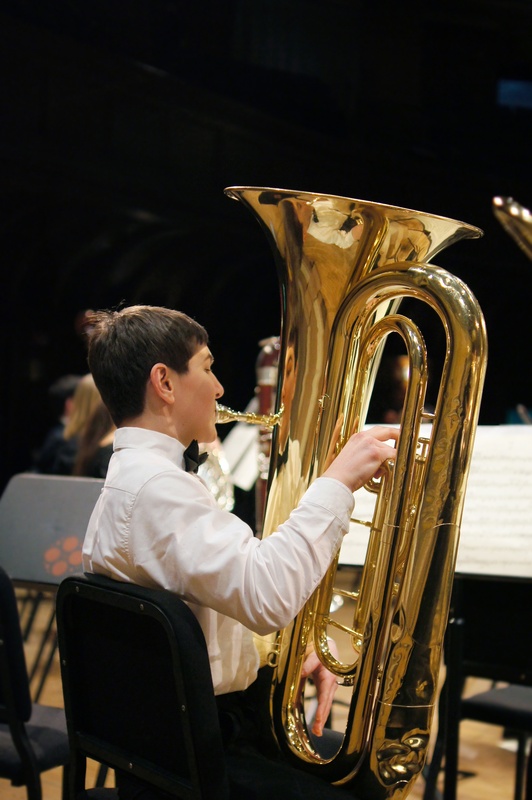 The Wind Symphony has performed in a wide variety of venues here in Central Jersey as well as in Haydn Hall in the Esterhazy Palace of Austria and the Bethlehem Chapel of Prague. The ensemble performs a diverse range of music from traditional marches by John Philip Sousa, to standard band literature by Gustav Holst and Ralph Vaughan Williams, as well as contemporary pieces by Michael Colgrass and John Mackey. 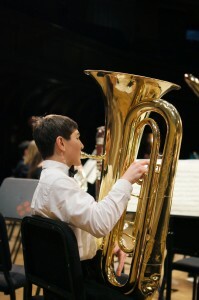 On the 2014 YOCJ European tour, members performed in Haydn Hall in the Esterhazy Palace in Austria and Prague’s Bethlehem Chapel in the Czech Republic. The Wind Symphony is conducted by Brian Woodward. Rehearsals are Tuesdays, 7:30 pm to 9:00 pm.